Field trip to World-Cup Bridge with Mongolian students!! 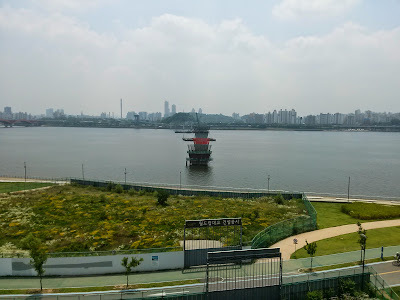 In 27th of June, after the day of SNU-MUST(Mongolian University of Science and Technology) joint seminar our department had a day to go field trip to World-Cup Bridge that is under construction by Samsung Co. 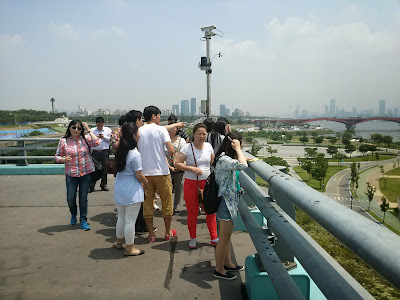 The tour was guided by an official member from Samsung Co. He explained how the piles were constructed and how the construction plans are going these days. After the explanation, we visited the construction sites to see the ongoing construction. It was a great time to have this kind of activities with students from MUST, and thanks to the civil engineering department for making this kind of chances to the students.